"Functional Unit Testing Methods for Practitioners: Short Guideline"
Start / Utforska / Bloggposter / "Functional Unit Testing Methods for Practitioners: Short Guideline"
Our new expert Stephan Schramm, Test Manager presents us with a short guideline for standard test levels in agile projects. Do have a look! The Sogeti Testlab Hub Stuttgart wants to give you a short and practical guideline for the standard test levels used in agile SW-Projects. The hints and recommendations presented here are based on the experience of several testing workshops done with developers and test automation Experts in international projects with different Sogeti clients in the last year. 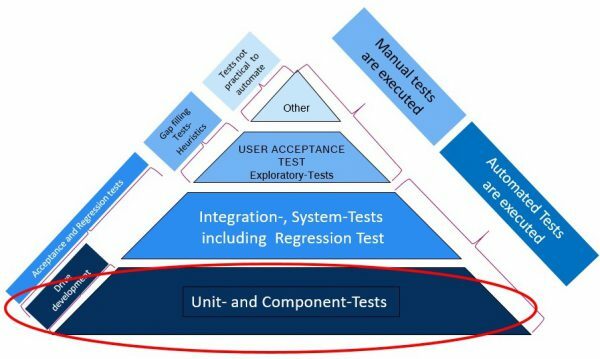 As shown in the Test pyramid let’s start with the essential and basic test level, the unit test. Read the entire blog post and interact with Stephan on SogetiLabs website.